Eating out in Manhattan is an expensive exercise for Australian travellers, especially with the local dollar languishing around US71¢. Now finding an affordable meal in New York has become a little easier following the launch of EatClub, a dynamic pricing platform that enables restaurants to offer last-minute deals to attract diners and fill empty tables. After expanding from Melbourne into Sydney, Brisbane and Adelaide, EatClub launched in New York this week, signing up more than 100 restaurant partners including several venues from New York Magazine's top restaurants list. "The product has translated well into the American market and we are thrilled with the response from many of NYC's favourite venues," said EatClub co-founder and chief executive, Pan Koutlakis. "America has been on the cards for some time. We have a number a key metrics that we look for when choosing our next market to launch and the US ticked every one of them. "New York was particularly exciting, with more restaurants in the city than in the whole of Australia." Launched in Melbourne in 2017, EatClub has more than 400,000 members – up from 60,000 a year ago – and has partnered with more than 1400 restaurants. The company, which counts celebrity chef Marco Pierre White as a founding investor, has raised $3.9 million in seed and series A funding and is expected to launch another round soon to fund further expansion in the United States. 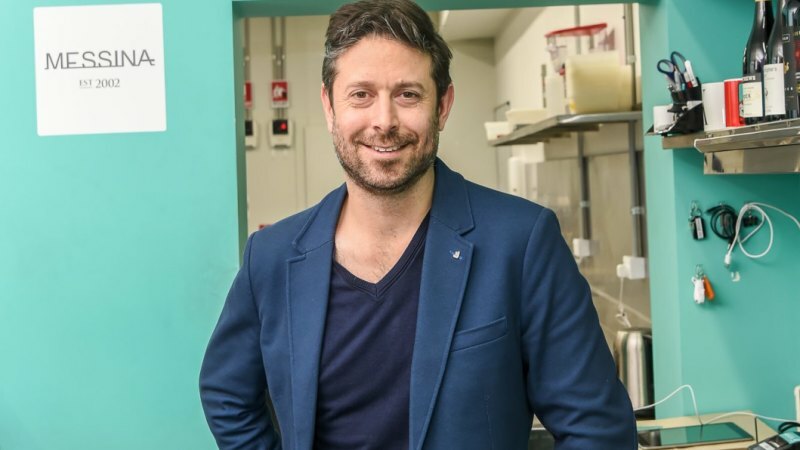 "With restaurant take-up so strong in five cities, we will continue to expand across Australia, North America and wherever else it makes sense to pursue," said Mr Koutlakis. Three people behind EatClub – Mr Koutlakis and Suppertime founders Nathan Besser and David Berger – were pioneers of the $1.5 billion online food-delivery market. They are now helping restaurants win back customers from aggregators such as Deliveroo, Uber Eats and Menulog. Online food deliveries are growing fast but are cannibalising the dine-in trade, crimping margins. A Morgan Stanley report last year found that restaurants signing up with aggregators needed to boost sales by more than 50 per cent to avoid squeezing profits. EatClub's dynamic pricing technology enables restaurateurs who find themselves with empty tables to offer last-minute discounts ranging from 20 per cent to 50 per cent on one or more tables. The restaurant pays a "cover charge" of $2 per diner to EatClub, a fraction of the price of the meal and well below the 35 to 40 per cent commission or service fees levied by Uber Eats, Deliveroo and Menulog. This is the year that Generation Z becomes the biggest consumer cohort globally, displacing millennials as a top obsession for investors trying to figure out how to cash in on their unique shopping, eating and media habits. While they might still be in school, they have spending power to the tune of $143 billion in the U.S. alone, leaving fund managers salivating at the chance to harvest some of that potential alpha. Investors have always been interested in young consumers and how their habits might open up new opportunities, but much of the long-held thinking on college kids and tweens—invest in beer stocks or TV networks or junk food—don’t hold up today. Gen Z, roughly between the ages of seven and 22, were born after the internet went mainstream and occupy a world where marijuana is going legal. Anything and everything can be delivered to their front door with a swipe of a finger and they grew up on platforms like Snapchat and Instagram, where the influencer culture has taken hold. While older millennials graduated college before the rise of Facebook, or even mobile phones, these new consumers live on Instagram and other platforms. In fact, 52 percent said they primarily find out about new products from social media, a jump of 10 percentage points from millennials and double the rate for their Gen X parents, according to a recent survey by Bloomberg News and Morning Consult. That means influencers—celebrities or everyday people with big social media followings who are paid to promote products—can have an outsized impact with this cohort where nearly six out of 10 self-diagnose spending too much time on their phones. Take for instance Kylie Jenner, 21, who promoted her makeup line on Instagram and is now considered the youngest self-made billionaire. Her makeup line made its way over to Ulta Beauty Inc. last year and the company’s shares are up more than 40 percent in 2019. She’s so influential, one tweet from her in February 2018 disparaging Snapchat wiped out $1.3 billion in market cap. Bloomberg recently constructed a hypothetical stock portfolio called The Influencer Economy ETF, or ticker GENZ. The fund is up about 15 percent since the start of 2018, outpacing the gain in the S&P 500 Index over the same period. GENZ’s holdings are weighted based on the rank of their associated influencer, per Forbes.com, which incorporates social media followers and rankings from other agencies. The top holdings include Electronic Arts Inc., Nike Inc., Adidas AG, Coca-Cola Co., T-Mobile US Inc.and Under Armour Inc. based off of partnerships with influencers such as Cristiano Ronaldo, Selena Gomez, Ariana Grande and Dwayne “The Rock” Johnson. Younger consumers are wary of nasty hangovers and eager to wake up on the weekends feeling fresh so they can get outdoors and capture selfies. Beer in particular is going through a slump as Americans cut back on alcohol. That’s bad news for Anheuser-Busch InBev SA and Molson Coors Brewing Co., which make the mass-market brands like Bud Light and Coors Light that are getting hit the hardest. Marijuana, meanwhile, is going mainstream. It’s perceived as healthier than alcohol by many Gen Z consumers and is now legal for adult use in 10 U.S. states. Gen Z consumers are coming of age in time when the decades of stigma around weed—think reefer madness—are fading away as more states legalize and stressed out, tired Americans look to cannabis compounds to alleviate insomnia and anxiety, or just unwind after a hard week of work. 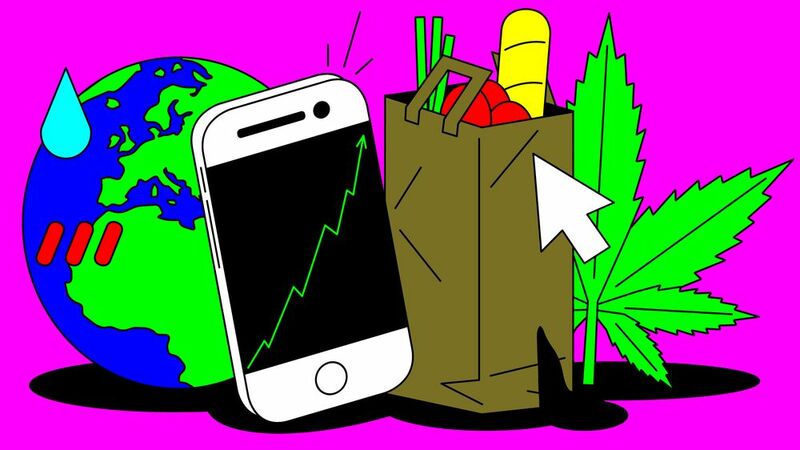 Investors have two main options for betting on weed. They can invest in Canadian companies—think Canopy Growth Corp. and Aurora Cannabis Inc.—which benefit from federal legislation there but also are operating in a country with a population smaller than California. There are also the so-called multi-state operators in the U.S., like Curaleaf Holdings Inc. and Green Thumb Industries Inc. The U.S. legal market is already larger than all of Canada’s, but federal prohibition creates hurdles for the American companies—and leaves some money managers wary of advertising their bets. Gen Z could be the first generation to truly embrace online grocery shopping—though maybe not yet. Just 83 percent of them said they primarily purchase groceries at a physical store, compared to 95 percent of baby boomers and 87 percent of millennials. Surveys have also indicated that Amazon is one of the favorite brands of Gen Z consumers, who’ve never lived in a time without the e-commerce giant. It’s worth noting that the oldest members of Gen Z are barely out of college by most measures, not exactly peak grocery-buying age. Still, they’ve grown up in a world where digital shopping is ubiquitous. As of now, a tiny percentage of groceries are purchased online, because most people still want to touch their tomatoes. But since Amazon.com Inc. announced a deal to buy Whole Foods almost two years ago, Kroger and Walmart, the largest sellers of groceries in the U.S., have spent billions investing in technology and keeping prices low as they brace for the digital invasion. Whoever figures out the equation for grocery delivery—human-delivered or self-driving cars—will have a lot to gain. The rise of Gen Z could be bad news for traditional clothing retailers like Gap Inc. and Macy’s Inc., already battered by the shift to buying clothing online. The next generation is also embracing second-hand apparel, which will be bigger than fast fashion within the decade, according to Thredup’s 2019 Resale Report. Thredup, fashion resale website, says more than one in three Gen Z shoppers will buy used clothing this year, versus less than one in five boomers or Gen X consumers. That seems to stem, in part, from the generation’s interest in environmental issues and ethical shopping. Apparel brands looking to connect with younger shoppers have tried embracing edgier brand ambassadors, a departure from the days when consumer companies went to great pains to avoid politics. That's because Gen Z actually wants corporations to take a stand on issues, with 40 percent saying they’d pay more for a product if they knew the company was promoting gender equality issues and 42 percent for racial justice initiatives. Nike understands. Last year, it released an ad featuring Colin Kaepernick, and while the inclusion of the controversial quarterback-turned-activist initially spooked investors, the shares have since rebounded. And there are indications that ads have helped boost sales. Gen Z consumers are more likely to skip meat than the older U.S. cohorts, the latest dining disruption with big implications for fast-food restaurants and packaged-food giants. Burger King this week announced a test of a plant-based Impossible Whopper, another sign that even the purveyors of indulgent onion rings and big burgers see a shift ahead. Just a few years ago, the narrative was that millennials were killing off traditional fast-food chains, opting instead for the so-called fast casual competitors like Chipotle Mexican Grill Inc. and Panera Bread that were promising higher quality and cleaner ingredients with the same quick convenience. It’s true that eating habits have shifted, but old-school burger chains like McDonald’s Corp. and Burger King still dominate in the restaurant industry. McDonald’s has bounced back from a sales slump, thanks in large part of all-day breakfast, and recently invested $300 million in a technology company it says will help boost drive-thru sales. It turns out even today’s teens still want fries with that. It’s more Big Food that's feeling the pain. Large packaged-food makers like Kraft Heinz Co. and Campbell Soup Co. have been battered in recent years by the shift away from traditional brands that dominated grocery stores for decades. They’ve tried to reshape their portfolios, but have struggled to resonate with younger consumers. So what does this all mean for savvy investors trying to tap into Gen Z’s buying habits? People in generational cohorts are never as uniform as marketers would like, and with the youngest still in elementary school, there's still some time before the preferences of the wider generation shake out. But for some forward looking investors, now’s the time to start thinking about how to structure a portfolio for a post-boomer economy. From ice-creams to juices or a packet of Pringles, delivery platform Deliveroo says its customers are comfortable getting a rider to deliver snacks well outside of meal times. "If you look at some of the numbers last year, there was a 350 per cent growth year on year on [ordering] breakfasts. There's a huge growth in different occasions," country manager Levi Aron said. A subscription deal is now looking to take advantage of these customers. Over the past week, Deliveroo has soft launched its 'Plus' program in Australia, offering meal deals and free delivery on all orders for $18.99 a month. Delivery fees are typically between $3 and $6 on the platform, meaning customers ordering multiple times a week may be encouraged to order more. It's a move the business said would help small businesses generate more orders and it comes at a time when restaurants are increasingly ambivalent about the cuts that food delivery platforms take for facilitating a delivery. Some businesses have publicly rallied customers to avoid ordering food through third party sites altogether in order to protect small business margins. Deliveroo said the number of small businesses contacting it had accelerated. Last year it gave restaurants the option to "Byo riders" instead of relying on its gig economy fleet. While the company doesn't outline order volumes, Mr Aron claimed the company just had "our biggest Sunday ever", with 20,000 customers having taken up Plus subscriptions over the past few days during the soft launch period. The typical Deliveroo customer has changed over the past four years, the company said. When it launched in 2014, users were logging on maybe a couple of times a month to get a special dinner. These days it's more like a couple of times a week at least, with everything from juices to teas and desserts being placed as standalone orders. In Melbourne's CBD, a user can order one Taiwanese fruit tea for $6.40, to their office. In Sydney, many cafes offer $11 breakfast eggs to your door. Deliveroo has increasingly positioned itself as a 24/7 food option and now has two 'dark kitchen' food preparation sites in Melbourne. The company is gunning to have 17,000 restaurants on its platform by the end of 2019 and has positioned this latest program as a win for increasing order volume and deliveries for drivers, who get paid $9 per delivery. Deliveroo launched its plus service in the UK earlier this year. It is the only food delivery platform offering a subscriber model so far Australia, though competitors do offer promotional deals and vouchers to users throughout the year. The company isn't ruling out the possibility that other platforms will follow suit in the "competitive landscape" of food delivery. While the subscription only covers delivery fees rather than food orders at this stage, Mr Aron said the program would likely evolve over time with "a whole lot of different initiatives and campaigns". The subscription model looks to drive loyalty, said lecturer in marketing at the University of Tasmania and retail expert, Louise Grimmer. "Once a consumer is ‘locked in’ with a regular payment, this behaviour cements their relationship with the retailer or food provider," she said. Food delivery platforms are considering the subscriptions model much in the same way that Amazon's Prime subscription drives loyalty, Ms Grimmer said. The flow-on effects of being locked in to these subscription offers could well be a willingness to place delivery orders for lower value goods, she said. "We are already seeing more and more people subscribing for a range of household products such as grooming products, toilet paper and coffee pods and it makes sense that this will extend to food delivery." Even for a company as large as Amazon.com, a double-digit percentage gain in 2019 is nothing to a bull expecting the stock to almost double over the next two years. According to Jefferies analyst Brent Thill, Amazon remains undervalued and "many of its embedded growth opportunities are underappreciated". The firm now models a road map for the stock to trade hands upward of $US3,000 a share by 2021. Amazon shares rose as much as 0.8 per cent to $US1,828 a share on Wednesday, the highest intraday since October. A sum-of-the-parts breakdown by Jefferies forecasts upside of approximately 65 per cent as profitable segments -- such as Amazon Web Services, Advertising, and 3P Seller Services -- are all growing at rates faster than the core retail division. "Multiples for these high-recurring revenue, high-margin businesses to expand as investors recognise their embedded value," Thill said in a research note to clients. Thill also mentions the forecast does not include any upside from new businesses like health care, "which could prove a break-out hit" with Amazon expected to play a meaningful hand in medical prescriptions and over-the-counter drugs. Amazon shares have climbed about 35 per cent since a bottom in late December, but Jefferies still believes the stock has held back since last earnings given "investor concerns about decelerating top line growth and step up in investments." The firm reiterated its buy rating and 12-month share price target of $US2,300. China’s e-commerce giant Alibaba Group has emerged as a backer of Bubs, following the Australian infant formula maker’s acquisition of Deloraine Dairy. Bubs announced the acquisition today of the Chinese-owned company and said private equity firm C2 Capital Partners would become a cornerstone investor in its business. Victoria-based Australia Deloraine Dairy is one of 15 canning facilities nationally that meets regulatory import conditions into China. C2 will secure shares in Bubs through a private share placement at 65c per share in a move that will raise about $31.44 million. Following the placement, C2 will also acquire additional shares in Bubs via off-market share acquisitions from existing shareholders, the NuLac Foods Vendors, providing a collective 15 per cent holding in Bubs. Following the capital investment, C2 managing partner Steve Lin will join the Bubs board as a director. Funds from the capital raising will be used, in part, for the Deloraine acquisition. C2 was established last year to invest in companies capitalising on the consumption growth and consumption upgrade of the growing Chinese middle class. Its strategy is to partner with the management of investee companies, providing value-added growth capital and to support companies with unique China market insights and know-how. 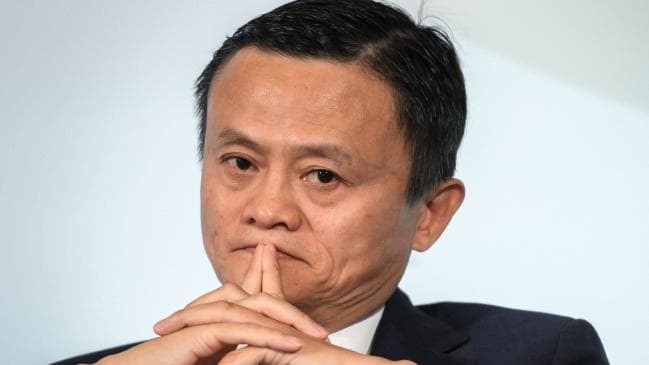 Alibaba is a Chinese multinational conglomerate that specialises in e-commerce, retail, internet and technology. It was founded in 1999 to offer sales via web portals as well as electronic payment services, shopping search engines and cloud computing services. It owns and operates a diverse array of businesses around the world in numerous sectors and is named by Fortune as one of the world’s most admired companies. At closing time on the date of its initial public offering in 2014, the company’s market value was US$231bn and in December was worth US$352.28bn. Business conditions have bounced, with companies reporting improved sales, profits and hiring, easing concerns of a downturn. The National Australia Bank’s monthly business survey shows the number of companies reporting improved conditions outnumbered those reporting a fall by seven percentage points in March, up from four percentage points in the previous month. 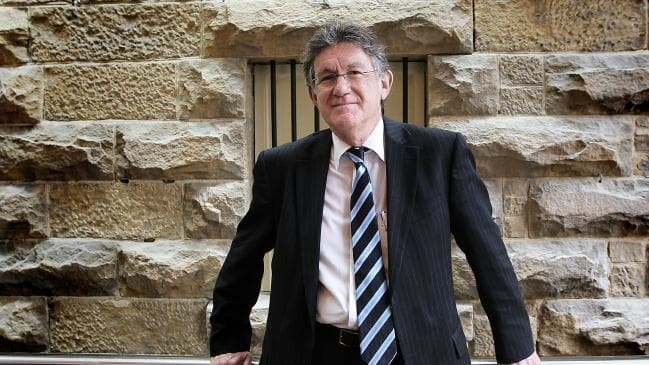 NAB chief economist Alan Oster said that while profits and sales were now in line with their long-term average, the number of companies reporting increased hiring was about four percentage points above average, which suggests the strong employment growth of the past year was set to continue. “The increase in business conditions is a welcome development after the weakening trend over the past six months,” he said, while noting the survey still contained some worrying indicators. A narrow majority of firms reported their forward orders had fallen, while the level of idle capacity has risen from 17.9 per cent last November to 19 per cent in the latest survey. The survey also indicates companies are becoming less committed to raising investment. In November, 15.8 per cent of firms were planning to lift investment, however the latest survey shows that has dropped to just 3.4 per cent. Business investment will be a key variable in today’s federal budget, with Treasury expecting firm growth of 4 per cent this year and 5 per cent next when it last reviewed its budget forecasts in December. Although companies are seeing better sales and profits, business is less confident about the outlook. The survey shows companies are equally divided about whether conditions will improve or deteriorate over coming months. NAB estimates employment should continue rising by about 20,000 positions a month. Although this is below the levels of the first half of last year, it should be sufficient to keep the jobless rate at its 4.9 per cent level. The Reserve Bank board, which meets today and is expected to keeps the cash rate at 1.5 per cent, will be reassured by these results. The RBA is puzzled over the split between strong performance of the labour market and relatively weak overall economic results. Mr Oster said the survey still showed sectors of the economy remained weak, particularly retail and wholesale, which were affected by soft consumer spending, while the strongest industry was resources, which was benefiting from strong demand from China. New Chinese business surveys are also encouraging about the outlook, showing that its manufacturing sector has pulled out of last year’s slump and is growing again, helped by government stimulus measures. Matching business surveys elsewhere in Asia also showed a lift in business conditions, although a majority of firms in both Japan and South Korea is still contracting. A 50x digital lens on Huawei’s latest smartphone camera is an insane idea. That’s a significant zoom, something smartphones generally can’t manage. But it’s in the repertoire of the new P30 Pro, the successor to Huawei’s P20 Pro, one of the best handsets of 2018. Phone cameras perform lots of tricks but zooming isn’t generally one of them. The 50x digital zoom managed some detail at long range. Distant signage that you barely see on a non-magnified image was readable. But these highly magnified images were distorted and show that high-resolution zoom has a way to go on smartphone cameras. Besides, it’s hard to keep the camera steady at 50x despite the image stabilisation. At the least find a ledge to support it, a DJI Osmo handheld image stabiliser, or use a small tripod. A tripod could also come in handy for light painting at night, which this phone supports. There’s 5x optical zoom and 10x hybrid zoom too. Generally resolution was good up to about 30x. Normal daytime shots without zoom were excellent, and Huawei’s night shots are second to none. Nevertheless photography is the hallmark of the P30 Pro which sports wide-angle, macro, and night photography as well. The P30 Pro has an arsenal of cameras with four lenses on the back: a 40MP wide-angle lens, 20MP ultra-wide-angle lens, 8MP telephoto lens and a time-of-flight sensor for depth sensing. You don’t need to physically swap between lenses. A slider in the camera app seamlessly moves from a 0.60x macro to 50x zoom. Macro photos displayed slightly more detail than even the rival Samsung Galaxy S10+, but both were very impressive. The P30 Pro’s front-facing snapper is so high in resolution (32MP) that it should take the best selfies in the business. Portrait mode includes a slider for adjusting the warmth of the colour and smoothness of your skin. Amazingly, there’s an option for making your face look thinner, although that didn’t seem to change mine much. The phone feels a tad heavier and thicker than the S10+, its main rival, although the difference isn’t big: 8.44 to 7.8mm in thickness and 192g to the S10+’s 175g in weight. The P30 Pro looks slick with glass front and back, and a very thin bezel. However the glass back attracts fingermarks and the glass surface makes the P30Pro feel a little slippery without a case. So far 2019 is a neck-and-neck tussle between the Mate 20, P30 Pro and S10+. All have an IP68 water and dust resistance rating, 15 watt wireless fast charging and wireless reverse charging. You can place another wirelessly chargeable device on the phone and charge it. The P30 Pro doesn’t support a standard microSD card. However you can add a Huawei nano memory card which offers a theoretically fast 90 megabyte per second transfer rate. It’s smaller than a microSD card but there’s not much other benefit. And there’s a downside. The NM card capacity limit is 256GB which is a quarter of the 1 Terabyte microSD card you can add to the Galaxy S10+. And the NM cards are more expensive. You may also be swayed away from the P30 Pro’s omission of a 3.5mm headphone jack. 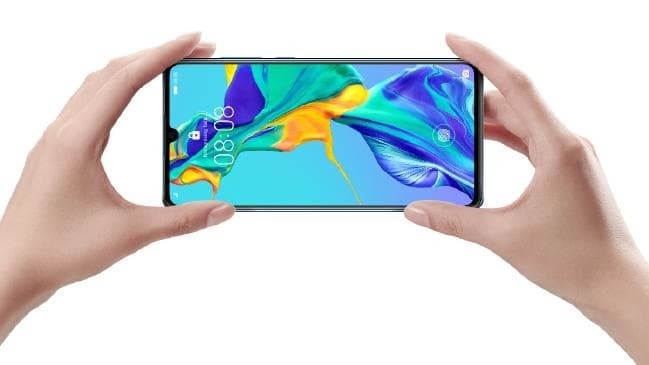 The P30 Pro has a bright full HD+ 6.47-inch bright OLED display, although its resolution is less than both its cousin the Huawei Mate 20 and the Galaxy S10+. It has a fast Kirin 980 8-core processor. I ran the AnTuTu benchmark, which scored the P30 Pro a healthy 285,331. The Galaxy S10+ scores better at 324,447 but both are impressive. The Huawei CPU rated better but its graphics performance was down. The P30 Pro will retail in Australia for $1599. A cheaper version, the P30, costs $1099. Huawei will throw in a Sonos One smartspeaker if you pre-order before April 16, when both handsets go on sale at telcos and retailers. Phones come in two colours: “breathing crystal” and “aurora”. A total of 11.8 million people held tech jobs in 2018, up 2.3 per cent from the previous year, with gains led by software developers, systems analysts and cyber-security analysts, and IT support specialists, CompTIA said in a report Tuesday. 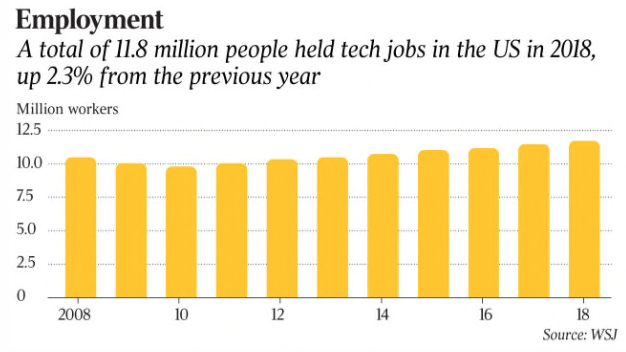 Tech jobs accounted for 7.6 per cent of the US workforce last year, up from 7.2 per cent in 2017. If the pace holds, the number of US tech professionals is set to grow 13.1 per cent over the decade between 2016 and 2026, creating 8.6 million new jobs, the report said. Over that period, the number of jobs for all occupations is projected to grow 10.7 per cent. Tech workers are about evenly split, according to the report: 46 per cent work for technology companies, a category that includes Silicon Valley firms, while 54 per cent work in IT in other industries. “We take it for granted that technology has an impact,” said Tim Herbert, CompTIA’s senior vice president of research. As an economic driver, he said, tech is shifting beyond Silicon Valley to businesses across the country. As of the end of 2018, more than 100,000 workers in Charlotte had jobs in tech, either working for one of the city’s 4228 tech firms or as IT professionals at local businesses, accounting for 8.1 per cent of the city’s workforce, the report said. Boise’s net tech employment hit 28,645 last year, up 4.1 per cent from 2017, representing 8.4 per cent of its workforce, the report said. In 2018, the city had just over 1000 tech firms. The results are based on an analysis of Labour Department data, as well as other government sources. The tech sector generated an estimated $US1.8 trillion ($2.5 trillion) last year, up from $US1.6 trillion in 2017. Tech’s share of gross domestic product rose to 10.2 per cent in 2018 from 9.2 per cent in 2017, the report said. That makes tech the third biggest contributor to the economy, behind manufacturing and government services but ahead of the finance and insurance sectors, CompTIA said. Part of the reason for tech’s employment growth beyond Silicon Valley was that the role of IT was shifting from backroom tech support to business strategies and revenue generation, said Craig Stephenson, senior partner and managing director of the North American technology officers practice at executive-search firm Korn/Ferry International. “Companies are experiencing new challenges which may require a modernisation of functional capabilities,” Mr Stephenson said, adding that technology was quickly becoming critical for revenue growth, the time it took a product to reach the market, and customer experience. Korn/Ferry last year found that 83 per cent of nearly 200 IT executives surveyed at firms across a range of industries described their role as being more strategic than it was three years ago. That, in turn, is prompting companies to raise IT budgets. Gartner expects global spending on IT to reach $US3.8 trillion this year, up 3.2 per cent from 2018. Increased IT spending was driving job growth across the tech sector, said John-David Lovelock, a research vice president at Gartner. “IT is no longer just a platform that enables organisations to run their business on. It has become the engine that grows the business,” Mr Lovelock said. A downside of higher demand for tech workers is a yawning talent gap, CompTIA’s Mr Herbert said. More than 80 per cent of roughly 2800 tech-hiring decision makers at US firms, surveyed by Robert Half International this year, said finding tech talent was a challenge. Amazon’s head of ‘Core Consumables’ is leaving the e-commerce giant to take up a leading role at Unilever’s beauty and personal care business, which represents 40 per cent of the company’s turnover. Sunny Jain has led Core Consumables at Amazon for the last six years, following 16 years at rival Procter and Gamble. During his time at Amazon, Jain was responsible for brands within health and personal care, beauty and grooming, luxury beauty, grocery/food, baby, private label categories and pharmacy. 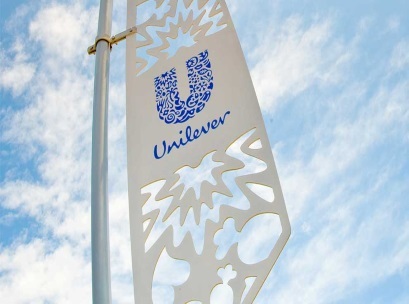 Unilever CEO Alan Jope said Jain’s “unique experience” made him “exceptionally well suited to help us deliver our growth ambitions” for the division. “Sunny also has a strong sense of purpose and is passionate about high performance, and will therefore undoubtedly be a highly valued addition to our team,” Jope added. Jain will take up the role and become a member of the leadership executive in June. 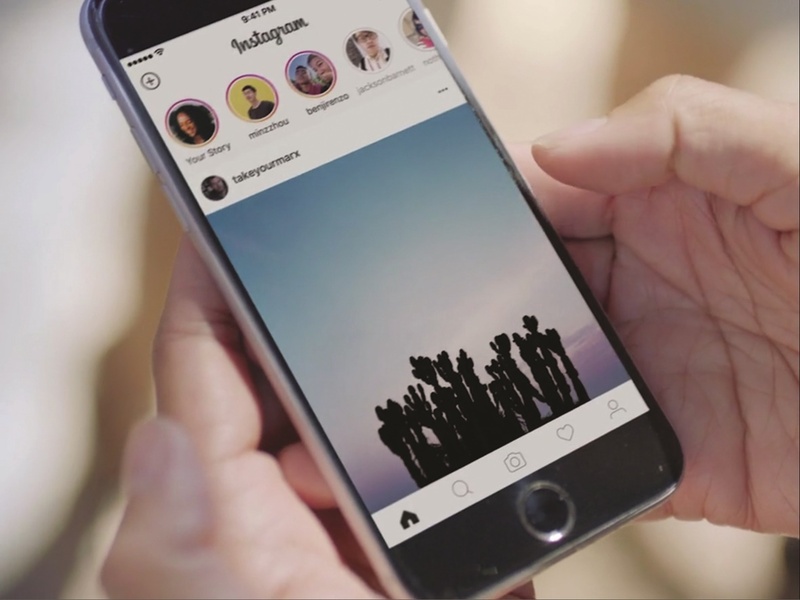 This morning, Instagram lifted the curtain on an idea that the company has been refining for years. The app now has a checkout function, meaning you can store your credit card information in your profile and click to buy directly from the app, as opposed to being redirected to a brand’s website. Before the launch today, users were able to tap product tags in a post, product stickers in Stories, and a shopping destination in Explore, which would then take them out of Instagram and into a new URL where credit card and shipping information would have to be input. This trial run of shoppable Instagram features was a success; according to the company, 130 million people were tapping the product tags each month. For the launch of Checkout, Instagram has partnered with an impressive roster of brands, including Burberry, Prada, Oscar de la Renta, Balmain, and Michael Kors. H&M, Zara, Nike, Warby Parker, and Outdoor Voices have signed on as well, as have beauty brands like KKW Beauty and NARS. Instagram users will be able to pay with Visa, Mastercard, Discover, and Paypal, the latter of which is serving as the main processor for the transactions. The company explains that having the ability for a direct checkout through the app will enhance security for the purchaser and create a more seamless shopping experience, one that starts and ends on Instagram. For now, the above names, plus a few more, are the only brands participating in the beta launch, but there is excitement around the evolution of this new technology. The idea of buying an entire wardrobe with a single double tap is apparently much closer than we thought. The social media platform said the program is still in testing phase and is being trialled with Nike, H&M, Adidas, Kylie Cosmetics and Zara. The shopping and checkout function will appear in unpaid posts and stories but not ads. Instagram launched its first shopping function in 2016, when it introduced a shop button which linked to the retailer’s website. Kogan.com Limited has launched a marketplace for online retailers as it seeks to fend off the threat from Amazon, which runs a similar service. Kogan said on Thursday that more than 100,000 products from brands like Microsoft, Breville, Fisher-Price and Gillette are now available through Kogan Marketplace. "Our mission is to make the most in-demand products and services more affordable for all Australians," said Kogan Marketplace director Lazar Monin. Kogan said it expects more retailers to sign up with the platform now that it has been launched. Kogan shares were up for the first time in eight days on the news, gaining 26 cents, or 7.28 per cent, to $3.83 at 1320 AEDT. Retail majors Coles and Woolworths and the nation’s biggest bank, Commonwealth, have pulled advertising from video-sharing platform YouTube, becoming the latest corporates to express concern about their brands appearing alongside inappropriate content. The move comes as YouTube, which is owned by Google, was hit with a fresh controversy late last month after comments posted on videos with children were linked to predatory behaviour. Coles halted advertising on YouTube last week but is continuing to review the matter, a company spokesman said. A spokes­man for Woolworths said its “activity on the channel is currently paused”. “We’ll continue to monitor the situation closely with our agency partners and Google,” the Woolworths spokesman said. 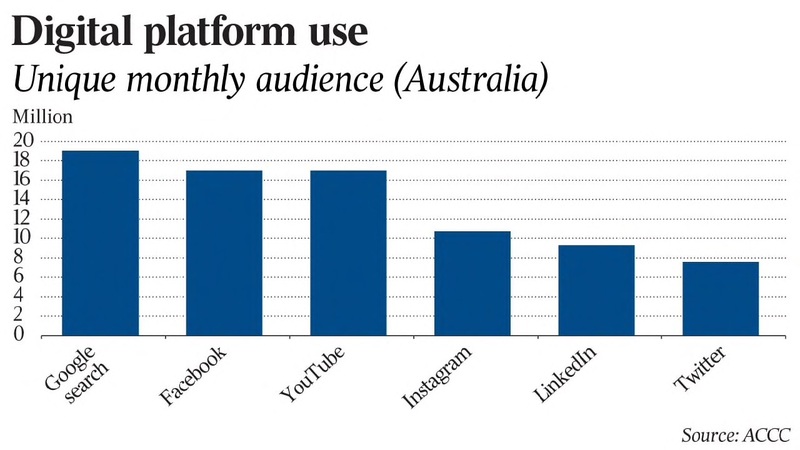 Senior advertising executives have said Australian businesses were likely to follow the lead of the retailers and would probably divert marketing spending away from the platform. Given the large number of videos that are uploaded on to YouTube each day, companies were nervous about the lack of controls over where their ads would appear, the advertisers said. It is the latest in a string of controversies on the video-sharing site that have seen global brands halt advertising because of videos promoting extremist views. “We are seeing more caution when it comes to YouTube,” James Collier, partner at media agency Bohemia, said. YouTube offers a slightly different ad product to Facebook and other social channels, Mr Collier said. “The major ad format within YouTube runs on top of user-­generated content. Within Facebook, it runs next to the user-generated content. A subtle difference but one that can make all the difference if you’re a marketer,” he said. The Australian retailers have followed the world’s biggest food and beverage company, Nestle, and video-game maker Epic Games, which suspended advertising on YouTube late last month. US-based video blogger Matt Watson exposed material on the site last month that was linked to predatory behaviour. Mr Watson posted a video on YouTube on February 17 that highlighted a user comment group about videos featuring underage girls, including some that identified the time stamp where children appear in compromising positions, such as performing exercises or dancing. The Watson video said YouTube’s algorithm had recommended users view similar content. Google held a call with major advertisers on February 20 to address implications and its efforts to eliminate comments that endanger kids. The tech site will disable all comments on videos featuring younger children and step up the monitoring of comments. GroupM Australia and New Zealand chief executive Mark Lollback said he was aware that some brands in Australia were diverting spending. The big challenge for companies was how to control where their ads were placed on YouTube, given the “ridiculous amounts of content uploaded every day” on to the site, said Ben Willee, general manager and media director of ad agency Spinach. “Just because it’s the right eyeballs doesn’t necessarily mean that it delivers on the advertising objectives,” he said. “And what I mean by that, if you’ve got a really up-market brand, you don’t want to be next to a video of bogans doing burnouts. “If I put a spot on a news program, I know exactly what I’m going to get. If I’m in a sport program, I know exactly what I’m going to get. But the big challenge for advertisers is understanding the environment their products are next to and if the medium reflects positively or negatively on the message they’re trying to deliver. Bohemia’s Mr Collier said that as much as the market enjoys “pointing its finger squarely at YouTube”, some accountability must be taken by the agencies. This includes the internal advertising departments and technologies that are being used to plan and buy across these channels. 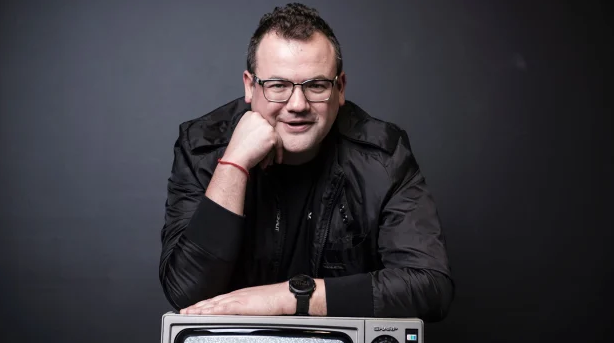 “If we’re to solve this problem then it will take work from both YouTube, independent marketing technologies and agency/client buying teams,” Mr Collier said. From the supermarket to the online store, the evolution of the retail industry has placed more and more emphasis on customers serving themselves. But customers have also become more sophisticated and expect more in return for their efforts. 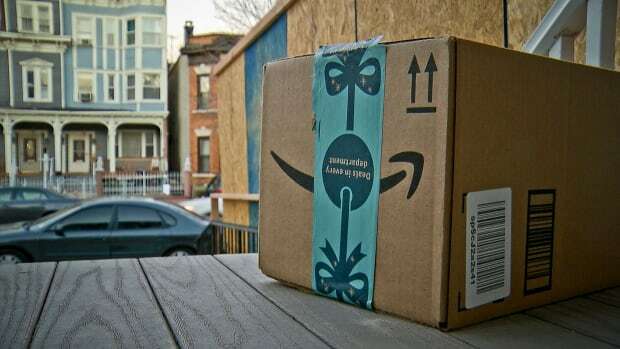 Amazon’s extraordinary success has been a wakeup call to retailers, both online and off, to improve the customer experience from the buying environment through to fulfilment. And that is leading them to take a very different view of the skills they need. As the chief technology officer for Cisco in Australia, Kevin Bloch has helped numerous retailers develop their path into the digital era. While he says there will always be shoppers and products for sale, over the next decade almost everything in-between will be ‘re-fashioned’. “Apps, as the digital shopfront, will become even more important for both the customer experience as well as for retailers and suppliers,” Bloch says. “Data and Artificial Intelligence (AI) will combine to refine and enrich the shopper experience, simplifying and optimising the supply chain. That translates to a big change from the skills a retailer might have recruited for just a decade ago. It also creates an immediate challenge, given such skills are in short supply. For Anna Samkova, the group general manager for digital at the multibrand fashion retailer The PAS Group, the skills she needs are not readily available today, so she looks for candidates with the right attitude, who are able to learn, and have a growth mindset. But most importantly, she looks for people who can solve problems. The war for talent in retail is escalating, and the battlefield is broad. The CEO at online retailer Winning Group, John Winning, says his company is always looking for developers, and finding people who both understand cutting edge technologies and the trading environment Winning Group works in is increasingly difficult. And it is not just technical skills that are in short supply. Winning says the line between technical and non-technical roles is blurring and everyone needs to develop skills to use or interpret technology. 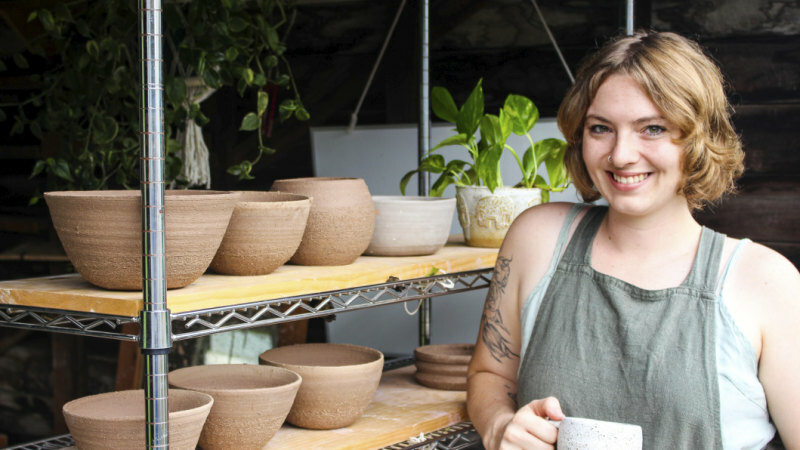 “Looking to the future, I believe a balance of technical and softer skills will be required, as people will need to use good communication skills to be successful in environments that are constantly changing,” Winning says. The transformation of retail is far-reaching — even to the humble convenience store. The general manager for people and talent at 7-Eleven, Sharon Beaumont, says the retailer is reviewing future capabilities as it embraces change and technology. 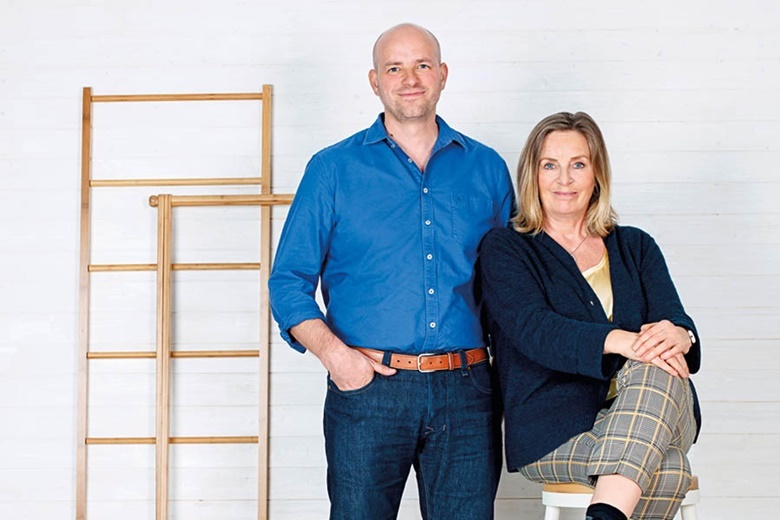 “Fundamentally we are a people business, and the ability to build genuine relationships between all people who make our business a great one remains crucial,” Beaumont says. “Building on that is how we delight our customers each and every time they interact with us. It’s more than being just friendly, it’s having capabilities across the end-to-end customer experience that are better than our competitors." Critical to that vision is a part of the business that customers rarely see — the supply chain. 7-Eleven’s general manager of supply and operations, Hazel Simpson, says the retailer is building capacity to swiftly adapt to consumer needs. And these are only the challenges of today. According to Cisco's Kevin Bloch, we are just at the beginning of this next chapter. “Retail space and property is already being impacted, as are fashion seasons as we traditionally knew them, from summer-winter, are moving to week-by-week,” Bloch says. “D2C (direct-to-customer) business is underway, leveraging technology and data to reduce legacy, costly and inefficient supply chains. Further ahead, we can expect to see broader use of blockchain or other distributed ledger and cryptographic technologies to rationalise the supply chain, simplify D2C and enable new capabilities such as provenance. Seattle | Amazon has abruptly stopped buying products from many of its wholesalers, sowing panic. The company is encouraging vendors to instead sell directly to consumers on its marketplace. Amazon makes more money that way by offloading the cost of purchasing, storing and shipping products. Meanwhile, Amazon can charge suppliers for these services and take a commission on each transaction, which is much less risky than buying goods outright. The company is determined to boost profits at the core e-commerce business, even if that means disrupting relationships with long-time suppliers. Because many suppliers source products from manufacturers months in advance, they will have to quickly shift their sales tactics if the expected Amazon orders don't come in. "If you're heavily reliant on Amazon, which a lot of these vendors are, you're in a lot of trouble," said Dan Brownsher, Chief Executive Officer of Channel Key, a Las Vegas e-commerce consulting business with more than 50 clients that sell more than $US100 million $142 million) of goods on Amazon annually. "If this goes on, it can put people out of business." Mr Brownsher is among several consultants who said Amazon's move had affected thousands of vendors. Pushing more suppliers onto the marketplace is part of Amazon's larger effort to reduce overheads by getting more suppliers to use an automated self-service system that requires no input from Amazon managers. "We regularly review our selling partner relationships and may make changes when we see an opportunity to provide customers with improved selection, value and convenience," Amazon said in an emailed statement, declining to answer specific questions about the action. The abrupt cancellation of orders prompted panic this week at the ShopTalk retail conference that drew more than 8000 retailers, brands and consultants to Las Vegas. Some attendees said Amazon stopped submitting routine orders last week for a variety of products, often without explanation. The drought continued this week, affecting more vendors and leaving them frustrated about the lack of communication from Amazon. One vendor who has been selling products to Amazon for five years said he got a canned response when he inquired why his routine weekly purchase order never came through. The response gave him no clarity about his standing as a vendor, he said. In recent years, Amazon has increasingly prioritised its marketplace. More than half of all products sold on Amazon in 2018 came from marketplace merchants, and revenue providing services to those merchants is growing at double the pace of revenue from the online store. Based on the target valuation of Amazon, the marketplace business is worth about $US250 billion, according to Evercore ISI analyst Anthony DiClemente, more than double the value of the online retail business. Online marketplaces can offer greater selection than even the biggest of stores. Walmart, Target and Best Buy are all copying Amazon's marketplace model to increase online sales. 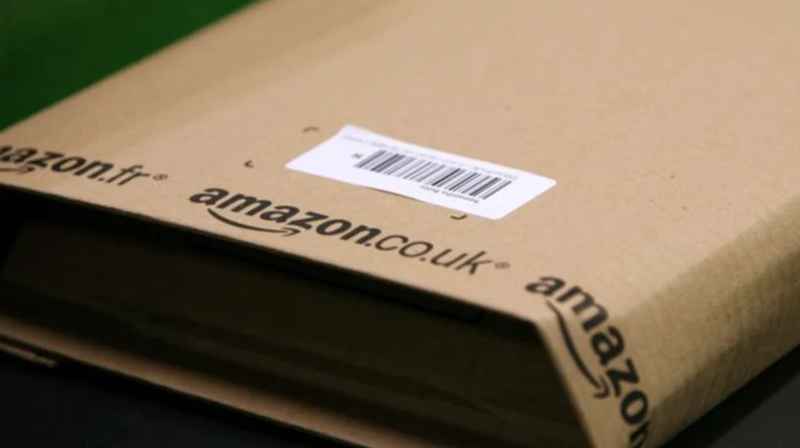 Amazon will generate e-commerce revenue of $US317 billion this year, representing 52.4 per cent of all online sales in the US, according to EMarketer. "If you're already drawing eyeballs to your website, you want to have all of the products your customers are looking for," said Frank Poore, CEO of CommerceHub, which sells online marketplace software. "You have to have a bigger assortment online than you do in the store." Now more Amazon vendors will be forced to sell on the marketplace or risk getting stuck with unsold inventory, said Will Land, CEO of Marketplace Valet, an e-commerce logistics provider and consulting firm in Riverside, California. "When you get used to those big cheques," he said, "it's hard to pull away." Online retailer Kogan.com has blamed its beefed-up marketing campaign and warehouse expansion for a fall in earnings over the past six months to December 31. The online retailer boosted its marketing expenditure by 22.1 per cent to $11.6 million. Its warehousing expenses also grew 58.3 per cent to $6.5 million over the period and bumped up its inventory by 85 per cent to $92.9 million. "We have continued our significant investments in our improved customer offering. We now have a nationwide logistics network, enabling us to delight customers all over Australia with faster and more cost-efficient delivery options," founder Ruslan Kogan wrote in a statement to investors. Kogan said its inventory and marketing strategy was behind its 10.6 per cent revenue boost to $231.8 million in the past six months of 2018. The shopping website spends $22 in marketing per online buyer, who return an average of $55 in gross profit. Kogan said it would continue to closely monitor its return on investment in marketing. However, the strategy took a swipe at earnings for the half year, with Kogan reporting earnings before interest, tax, depreciation and amortisation of $13.3 million, 7.7 per cent lower than the first six months of 2017-2018. However, this surpassed Canaccord Genuity analyst Owen Humphries' prediction of $12.5 million. 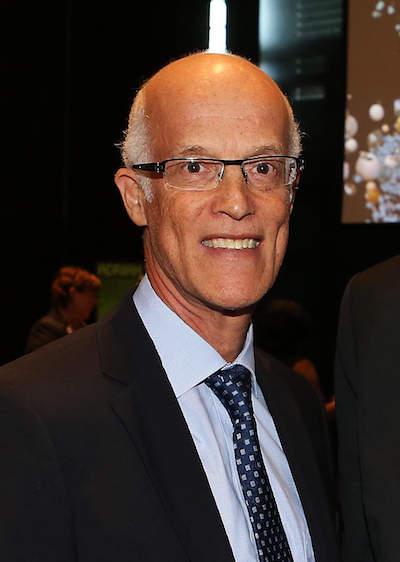 Kogan reported a net profit after tax of $7.4 million, 11 per cent less than the prior corresponding period. Despite the up-front costs, Kogan said it expected efficiencies from the strategy would start to kick in by June 30. Kogan's share price has fallen 49 per cent in the past year, closing at $4.39 on Thursday. By comparison, the benchmark S&P/ASX 200 has risen 3.2 per cent. However, its share price jumped to $4.45 by midday following the results announcement on Friday. Shareholders will be paid a 6.1¢ interim dividend on May 8.